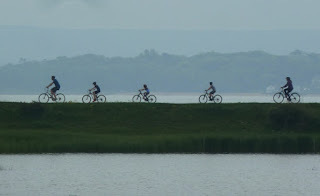 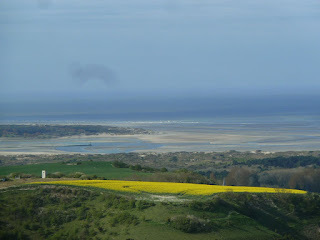 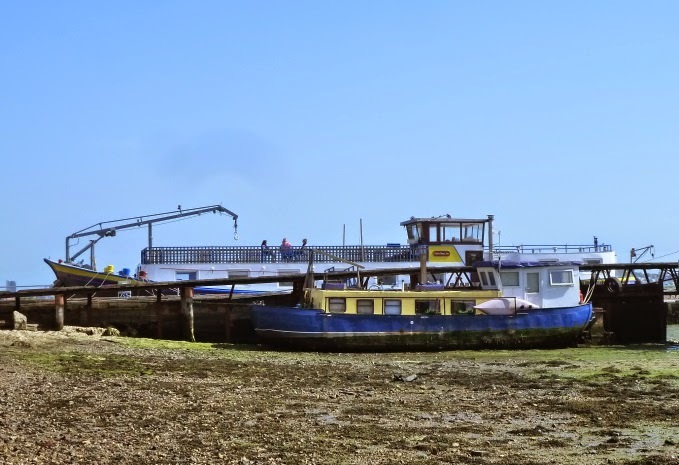 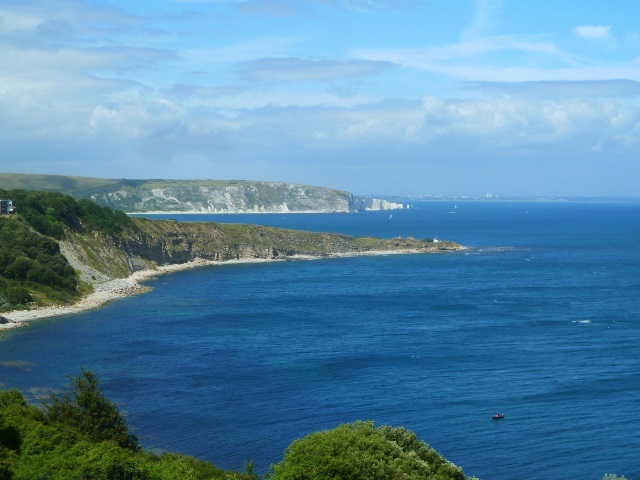 Heading west from Swanage is Durlsaton Head, fortunately now preserved as a country park and nature reserve, it has an easy pathway giving amazing views across Christchurch Bay to the Isle of Wight in the east and northward up to Poole. 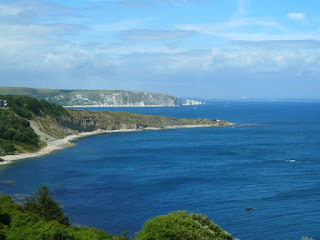 Above the closer ledge is Peveril Point on the outskirts of Swanage, home to the lifeboat station and some very lively overfalls when the tide is is running. 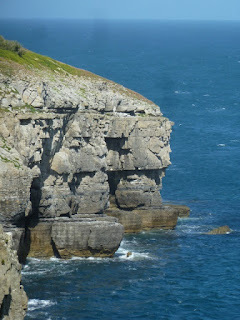 The second headland is Old Harry, three chalk formations, including a stack and a stump, located at Handfast Point which were separated from the main cliffs between 10 and 20,000 years ago. The cliffs at Durlaston are part of the Jurassic Coast between Swanage and St Alban's head. 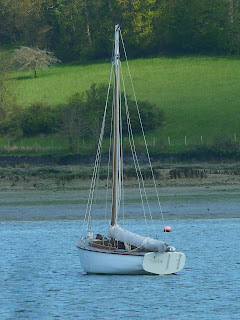 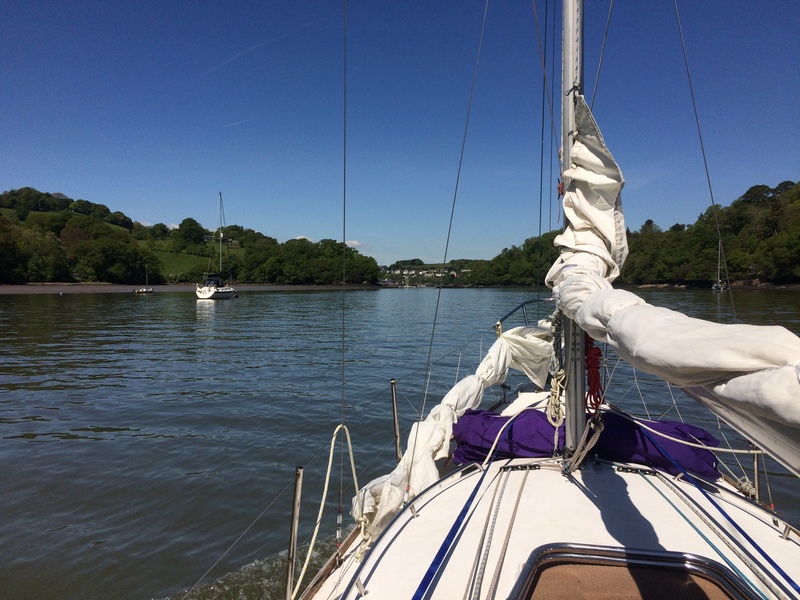 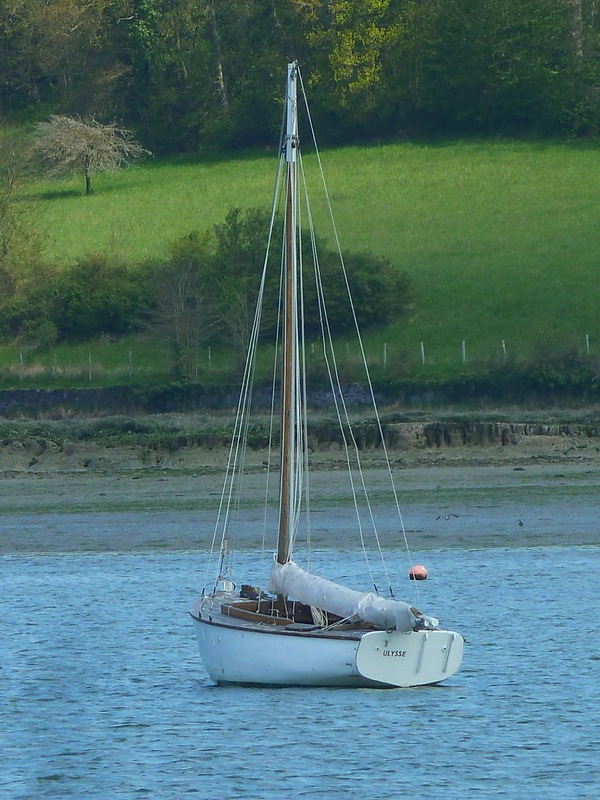 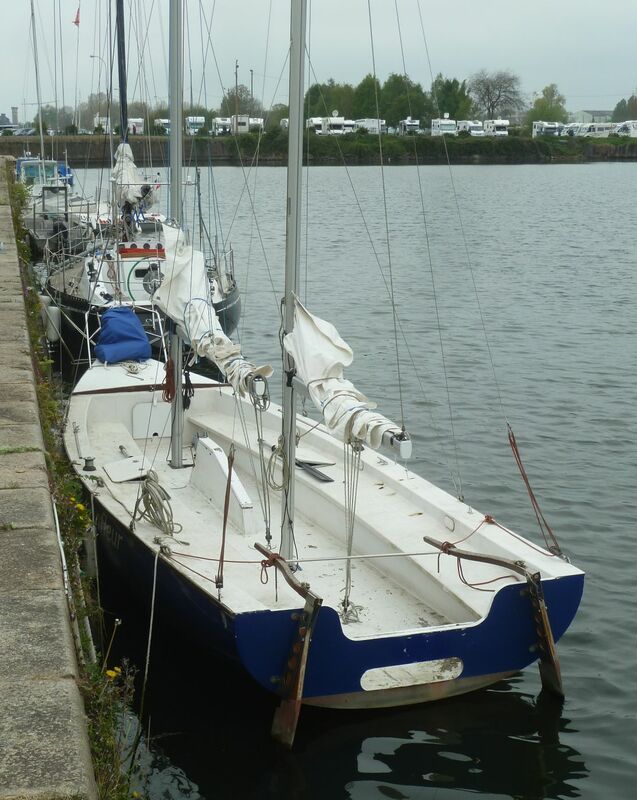 We never sail very close, preferring to go offshore to avoid the tidal race, which can be very rough in spring tides. 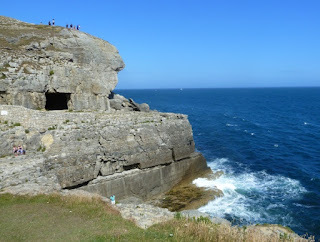 The sheer cliffs are home to colonies of sea birds who nest pretty much undisturbed. 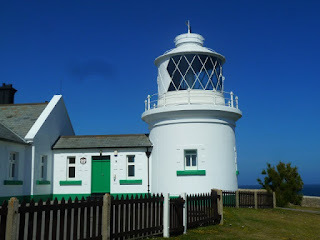 It's a short walk to the lighthouse at St Alban's head (which is a corruption of St Adhelm's Head). Many's the time we've been very glad to see the light shining out across the dark sea at night giving us a reassuring landmark. 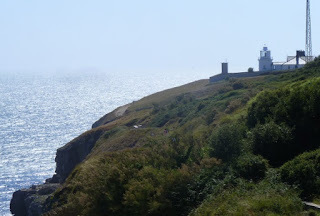 The rock of Durlaston head is fine quality Portland stone, used extensively in the building of Victorian London. Seen above are the Tilly Whim caves, where the stone was mined and loaded directly onto boats down the cliff face. 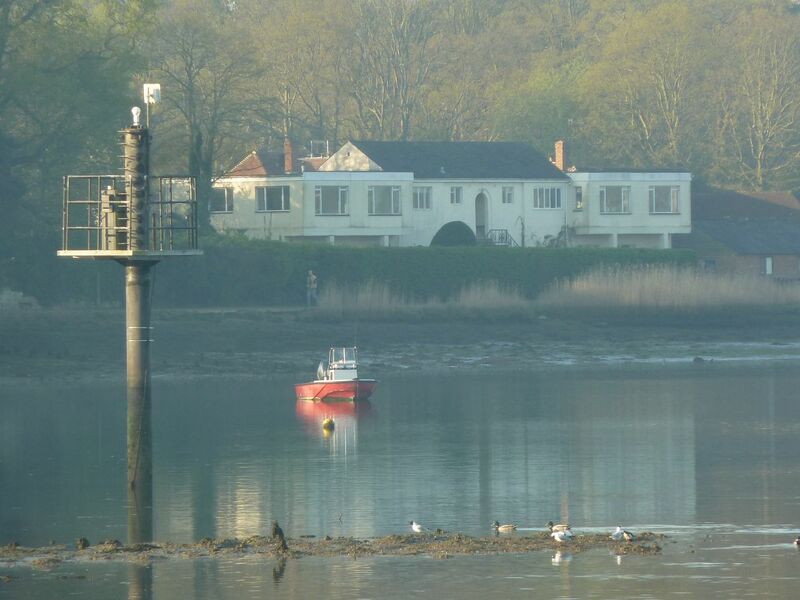 Alongside the lighthouse are former coastguard cottages. 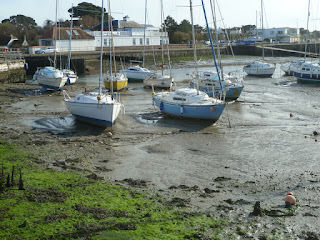 which are now available as holiday lets. It's a wonderful and unique location. 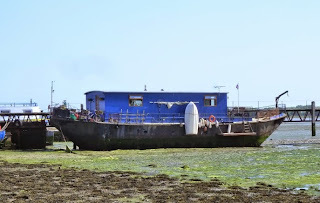 In a quiet corner of Portsmouth harbour at Wicor there are a few houseboats,, Seattle or Sausalito it's certainly 'aint, but nice to see there are still a few around. The top one looks like it might be a converted lighter, an non powered barge that is frequently seen on the Thames loaded with everything from building rubble to household waste. Above a cosy retreat alongside a huge barge at the far side with an almost full length roof top terrace commanding a panoramic view across the harbour. 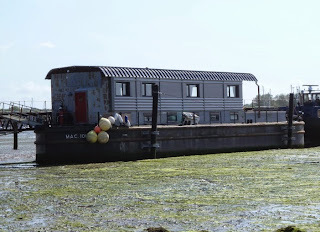 And how about this for a floating candidate for Grand Designs? 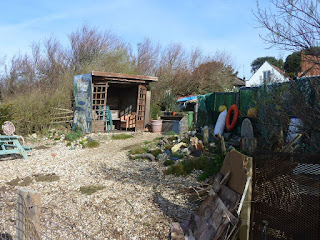 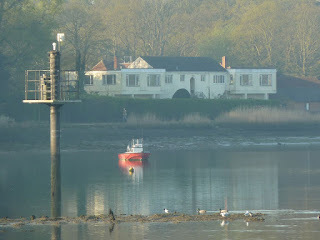 Nicely disguised summer house/cabin on the foreshore at Hill Head. 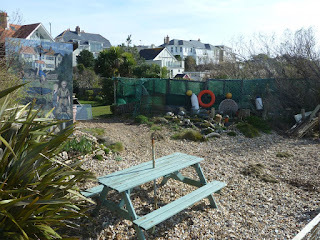 I didn't really notice the painting as we approached, nor the shed until after we'd passed. 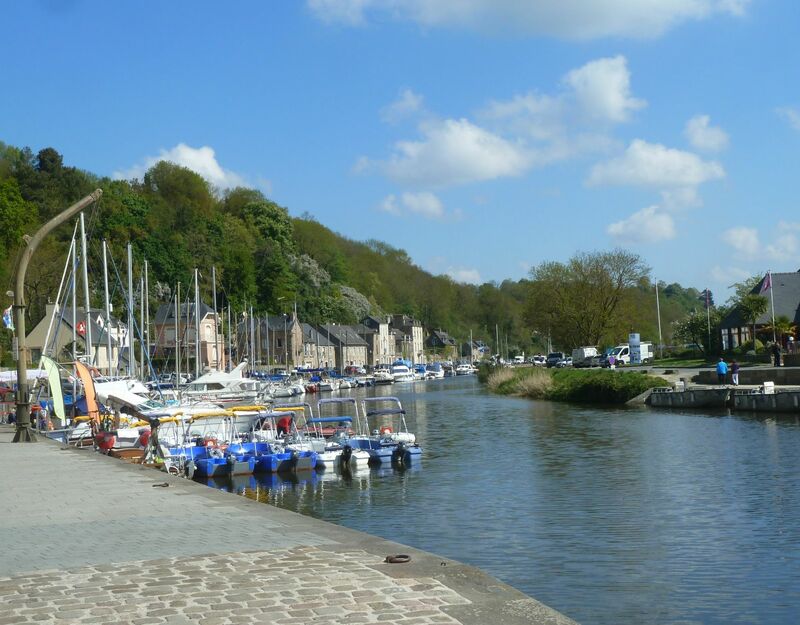 Further inland from St Malo up La Rance lies Dinan another delightful, historic and fortified town. The quay is separated from the main town adjacent the famous viaduct which was also probably the first river crossing until the modern bridges were built. 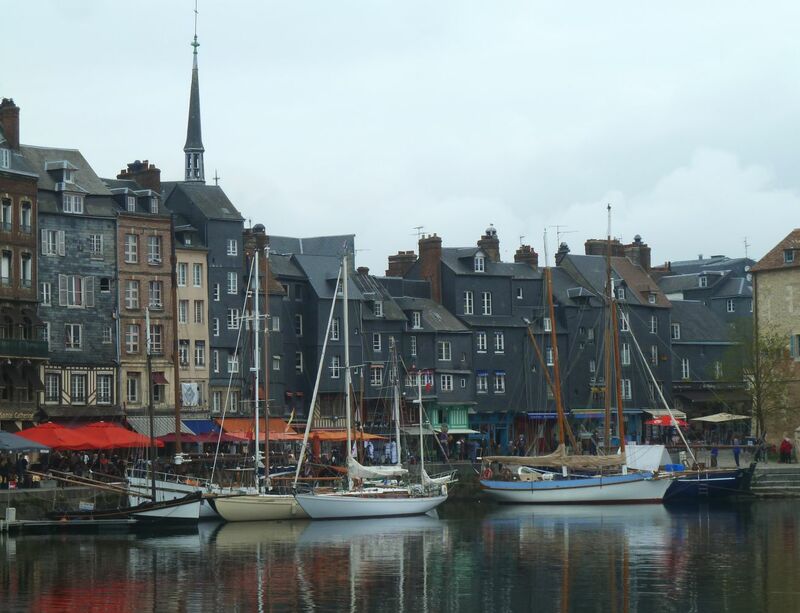 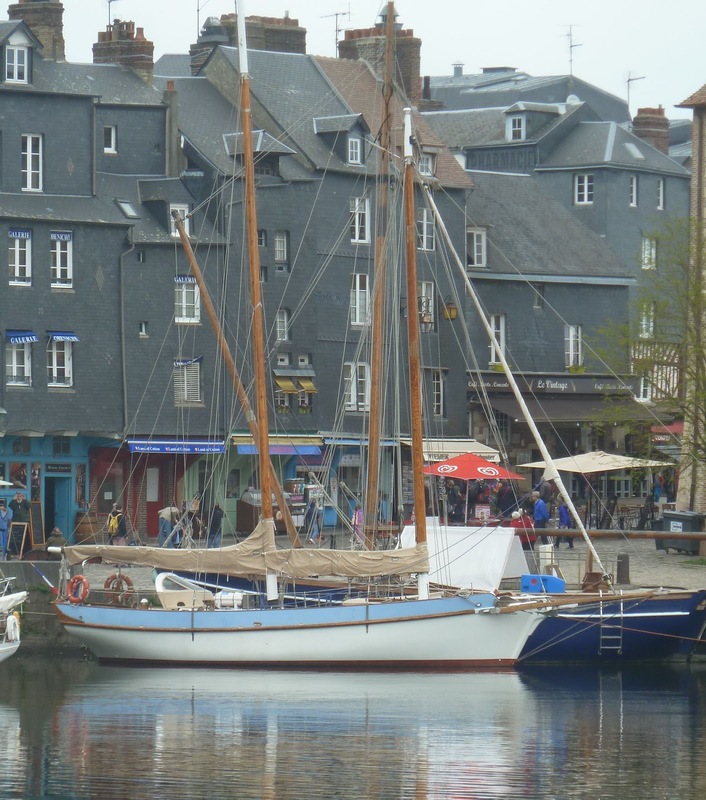 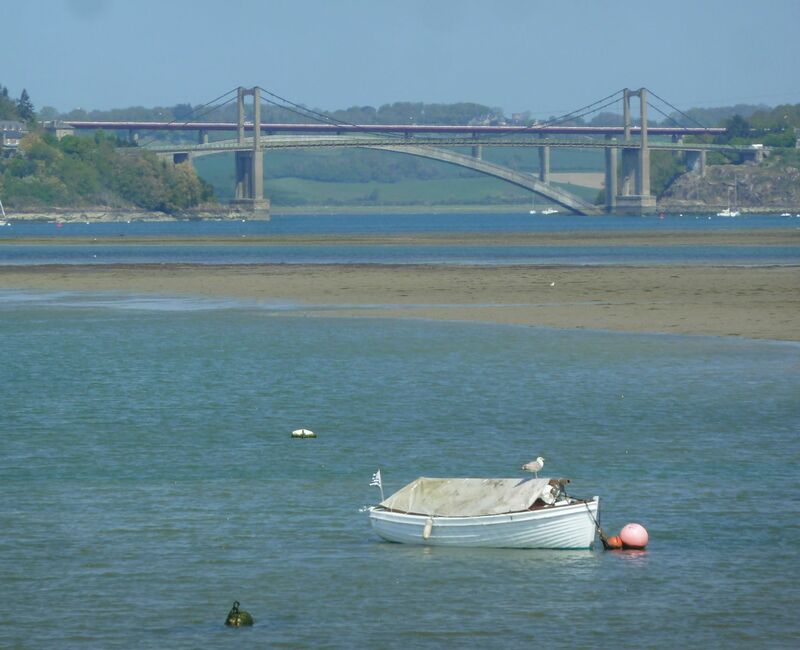 Along the eastern shore of La Rance lies Mordreuc which grew up around lime kilns, a tide mill and a stone dock where wood to heat the houses in downstream St Malo could be loaded. 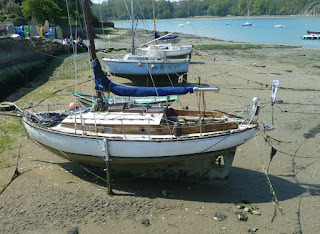 Ulysse a local day boat waits for the tide, the bay is sandy and firm plus well sheltered. 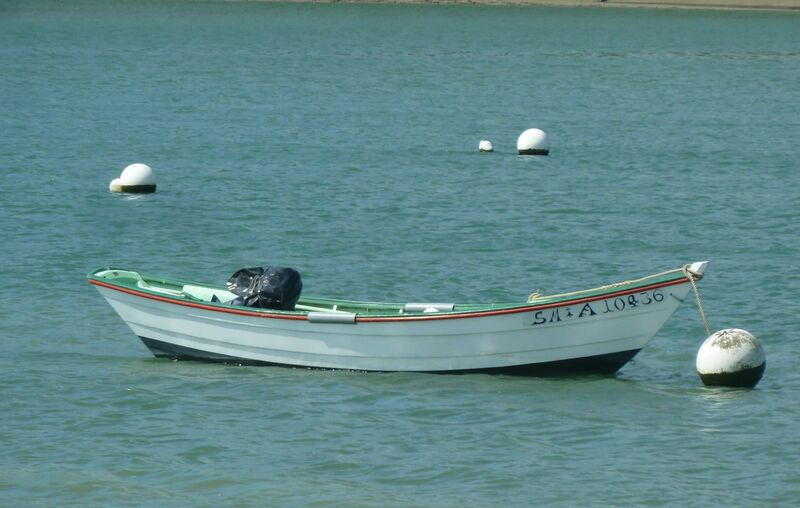 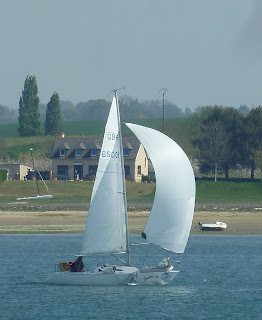 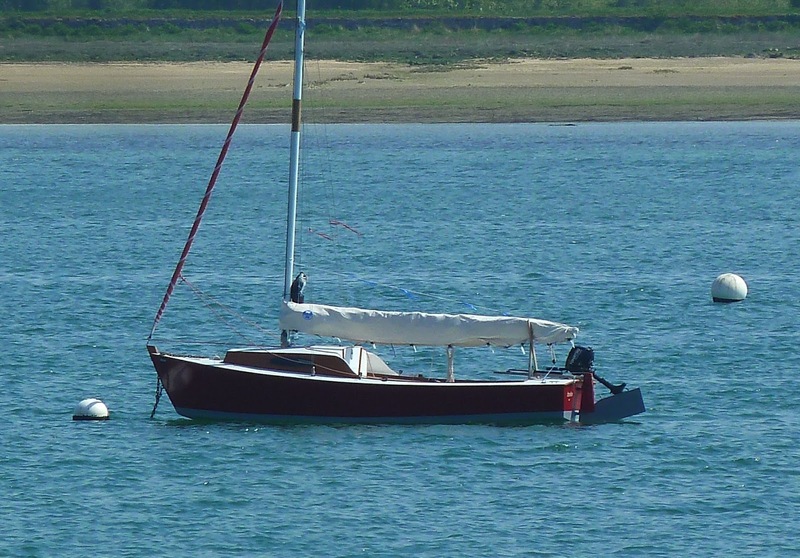 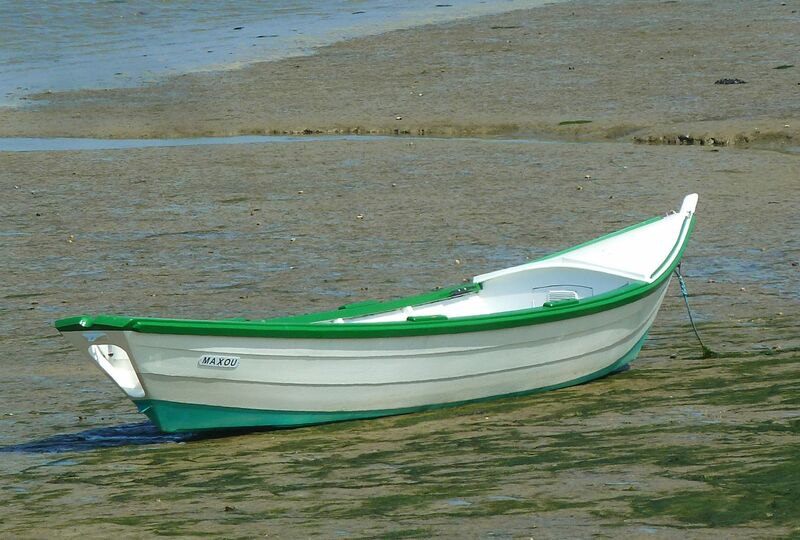 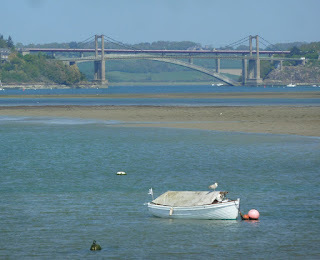 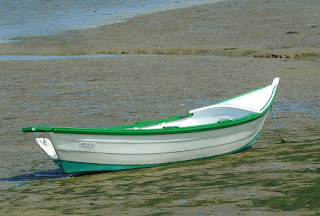 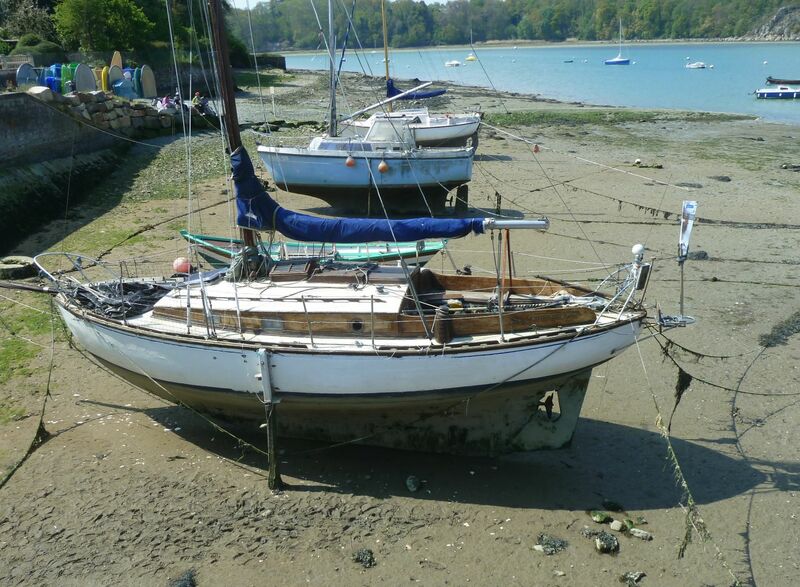 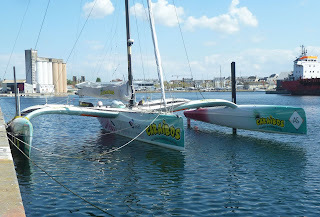 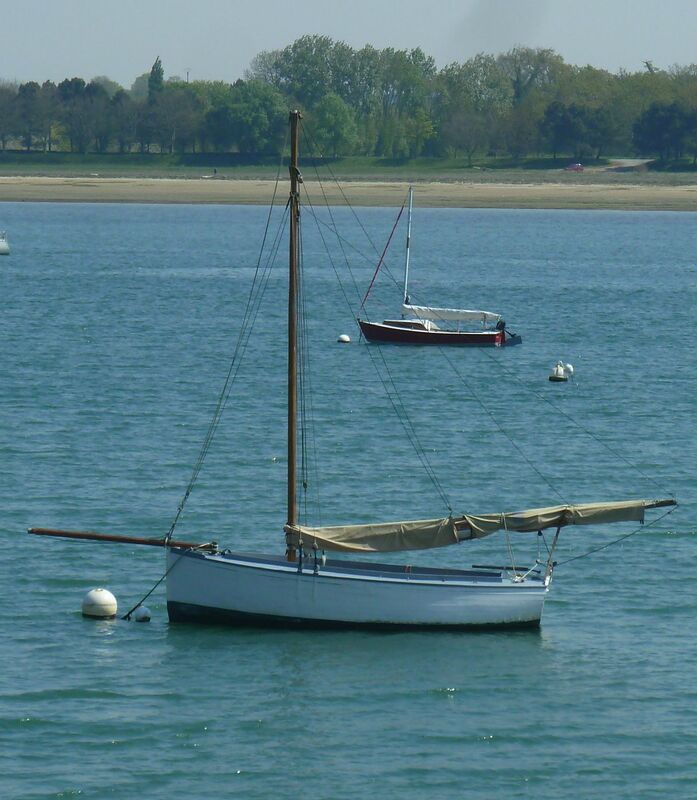 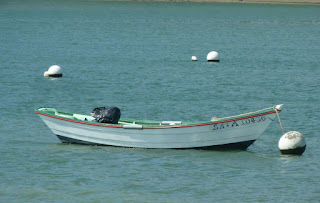 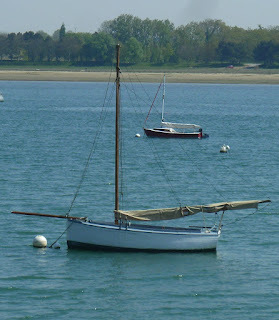 A couple of pictures for fellow blogger Doryman, the dory type was clearly common on La Rance, clearly suited to the shallows and sandbanks. 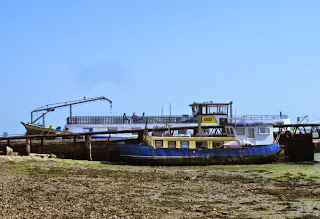 These days built in ubiquitous GRP and still used as working boats. 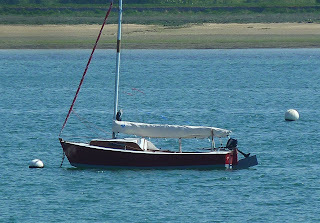 This pretty canoe stern cruiser pulled up on the hard looks to be very well equipped with wind vane steering and beaching legs. 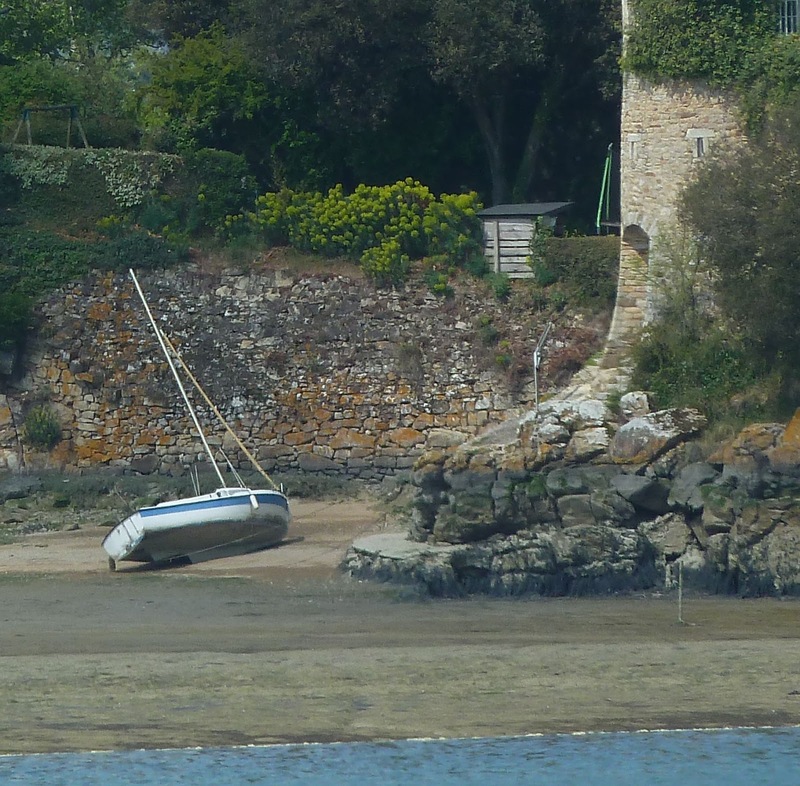 It's such a nice spot I'd be happy just hanging out there waiting for the tide. 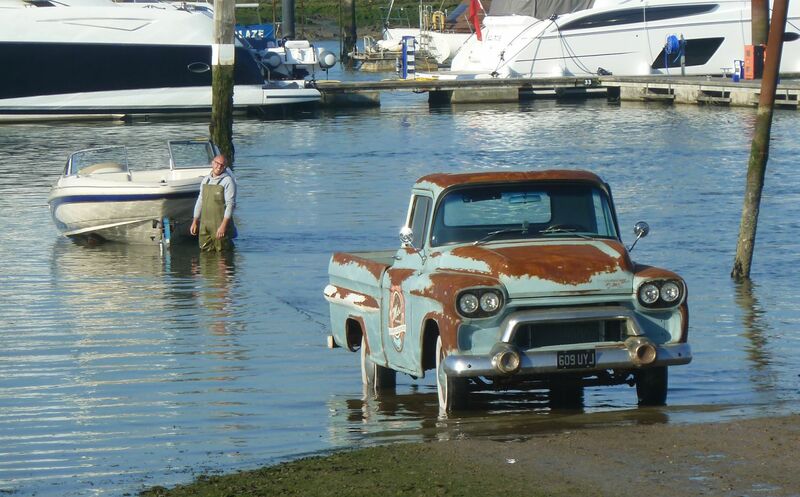 You don't see too many tow vehicles like this in Bursledon. 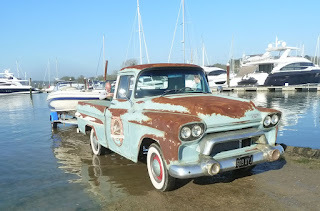 While I generally like American pickup trucks from this era I don't confess to much knowledge and couldn't see any badges. 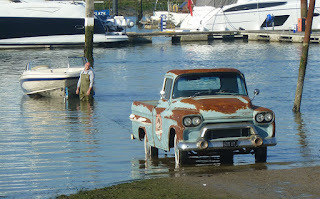 It had a lazy petrol engine burbling away and plenty of weight and ground clearance for towing - neat. 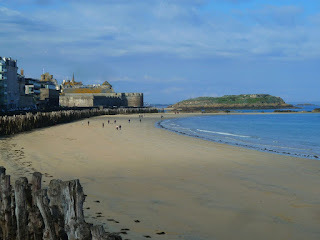 In all the times we've been to France we've never visited the fortified town of St Malo before and what a gem it is, the old town is contained within Napoleonic fortifications and is a great place to wander around and explore. 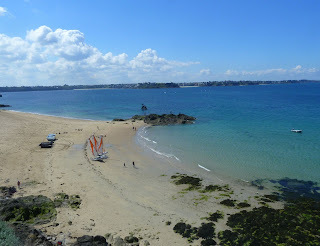 Outside the beach stretches away east along the Cote Emeraude (emerald coast), no doubt come summer it will be a little more busy but on a sunny spring day you could imagine you were in the Caribbean. 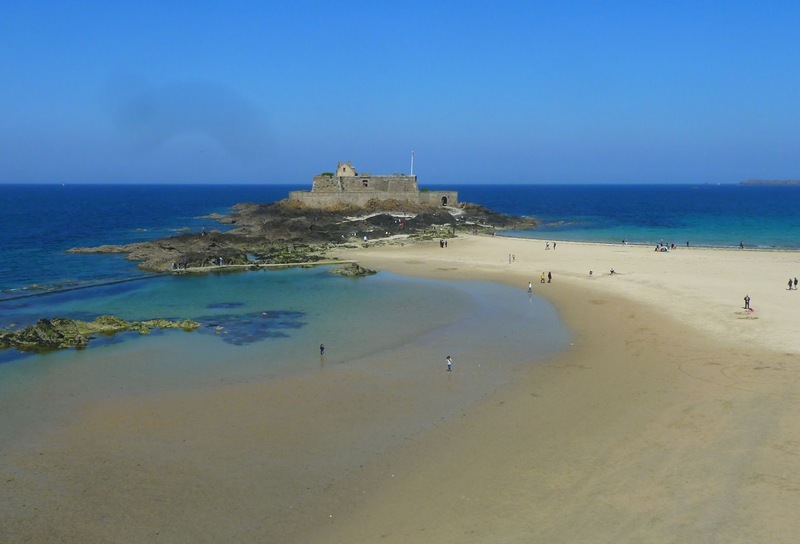 The inshore fortresses are built on rocks which are perfect for scrambling and climbing and searching the rock pools for interesting creatures. 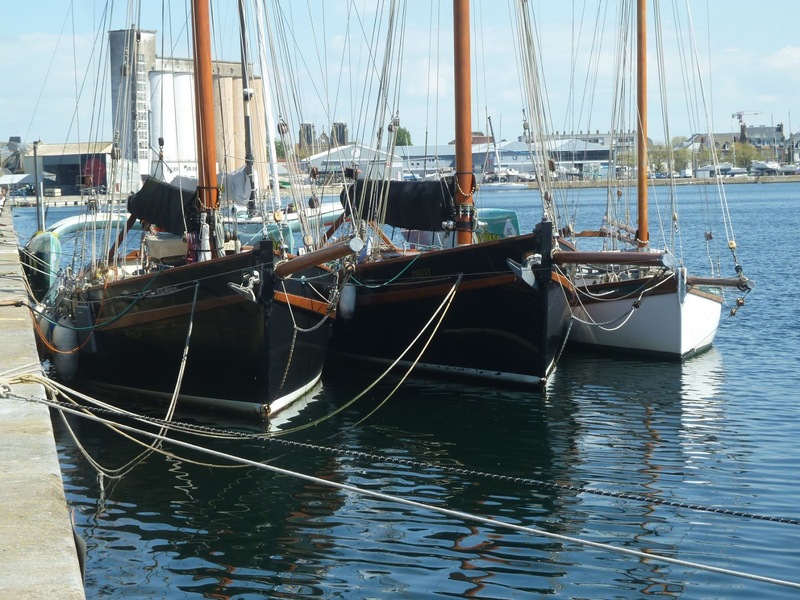 Inevitably with all the history there were some interesting boats like these three modern old gaffers, which interestingly are all traditional British designs. 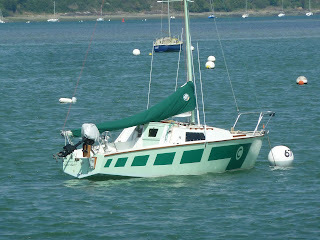 There were also one of two more modern designs. 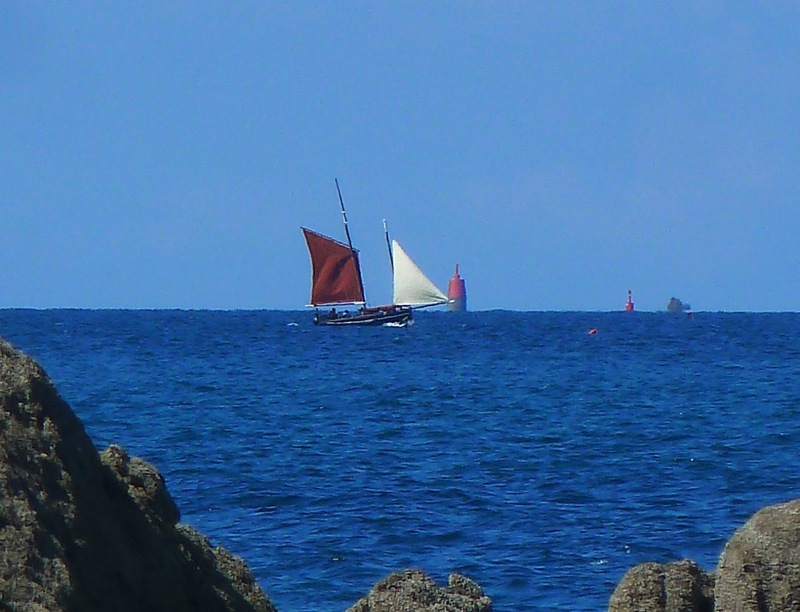 A local boat heading out to sea, could have been a picture form 100 years ago. 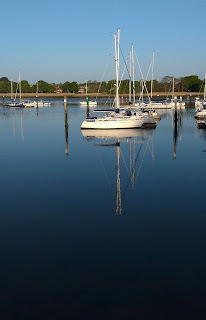 We've had some fantastic early morning recently down on the river so I took a break from running and dragged the boat down early for a row. 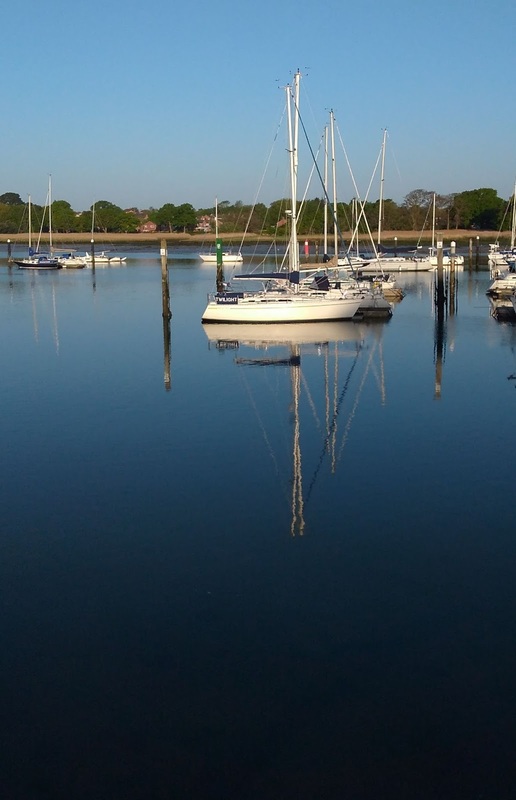 Update on the above from this morning, light north easterly wind blowing down the river, clear blue sky, cool air was great for running. 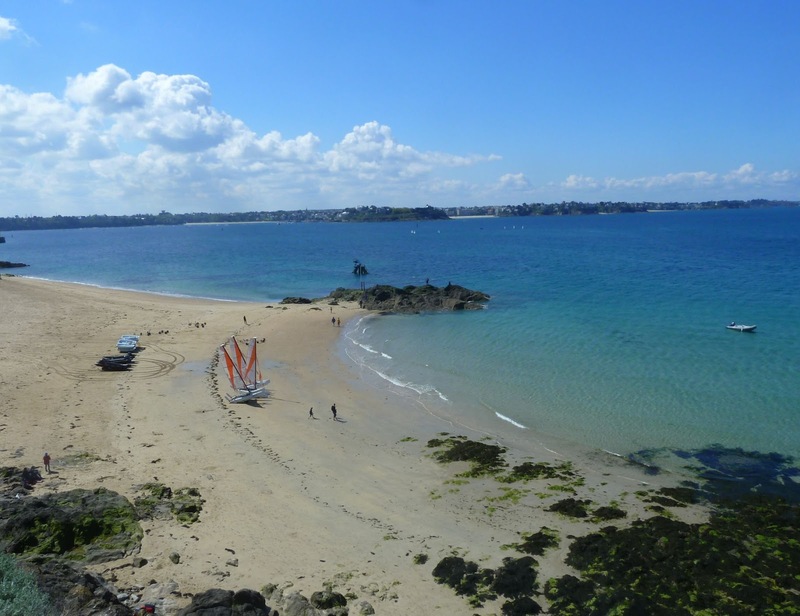 What a difference a few weeks make. 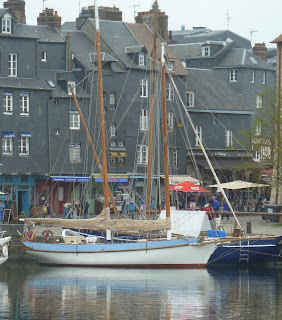 We've been in France again short trip over Easter to Brittany, on the way stopping off at the Normandy port of Honfleur. 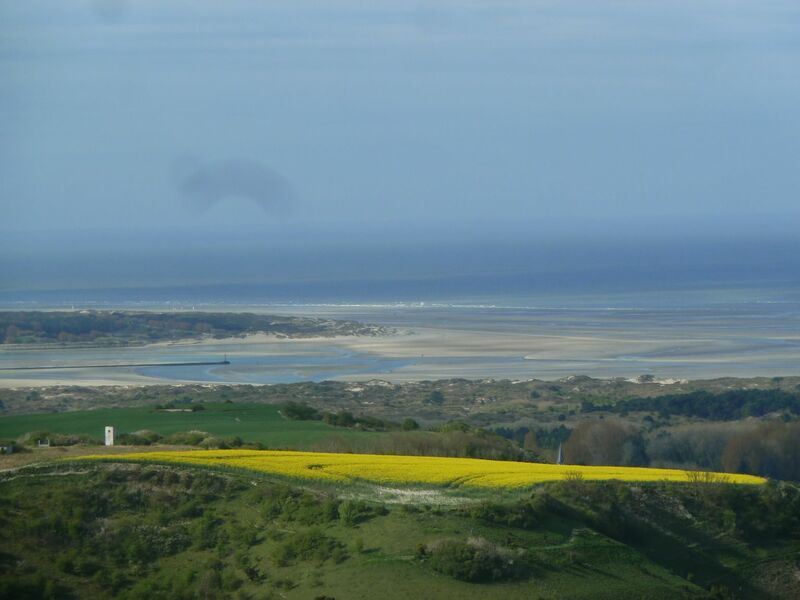 Above en route, we're not exactly sure where this is but probably Le Canche river, looks like a tricky entrance. Honfleur vieux-bassin (old harbour) surrounded by 16th and 17th century buildings, the town grew up on maritime trade based as it is at the mouth of the river Seine opposite Le Harve. 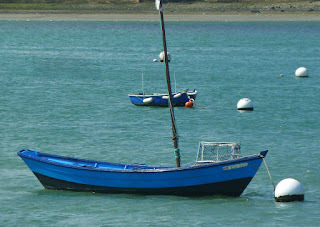 In later years it became a favourite of artists including Monet a theme which continues today. 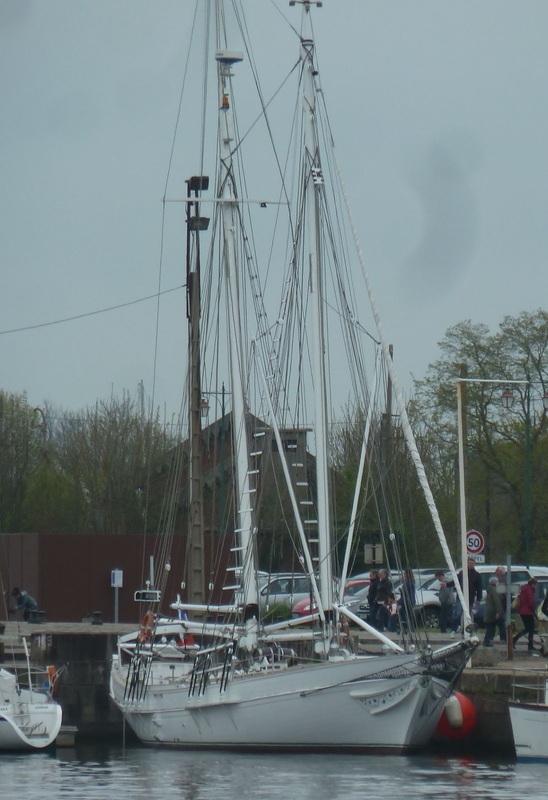 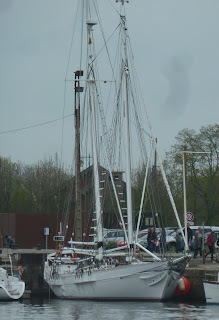 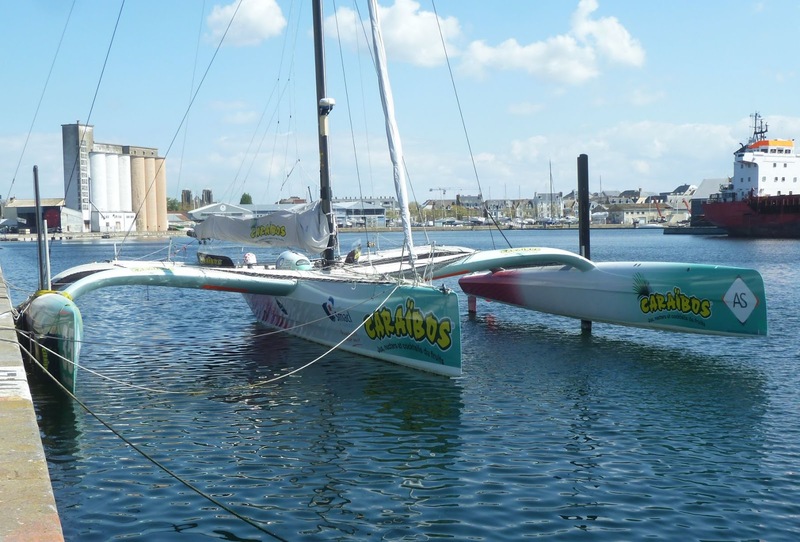 Some interesting boats seen along the old commercial harbour, I've seen these training boats before ketch rigged around 26 feet with twin rudders, they look fun to sail sort of a modern, high performance Dranscombe. 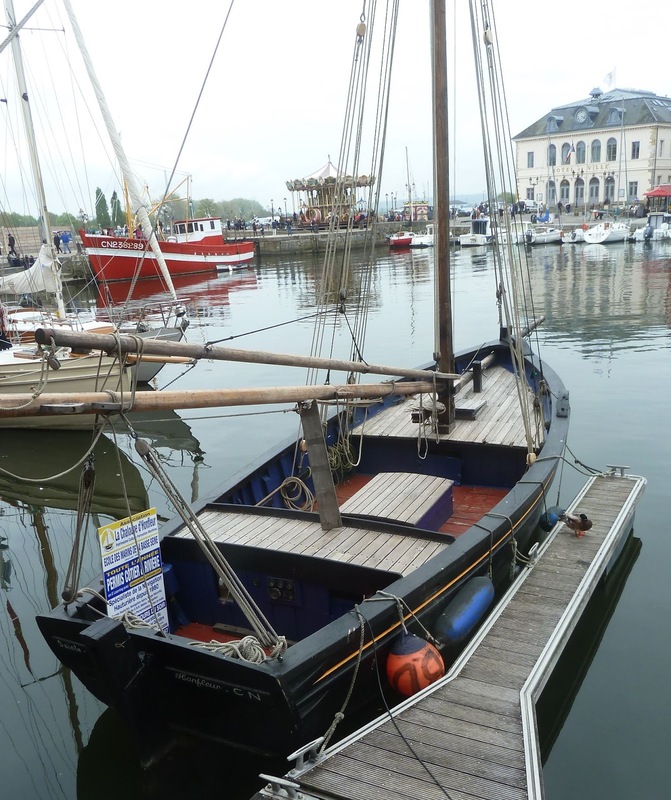 This one by the late Daniel Bombigher which is think is his Shpountz design but they are shown in plans as a schooner while this lookslike a ketch (could just be the bad camera angle). 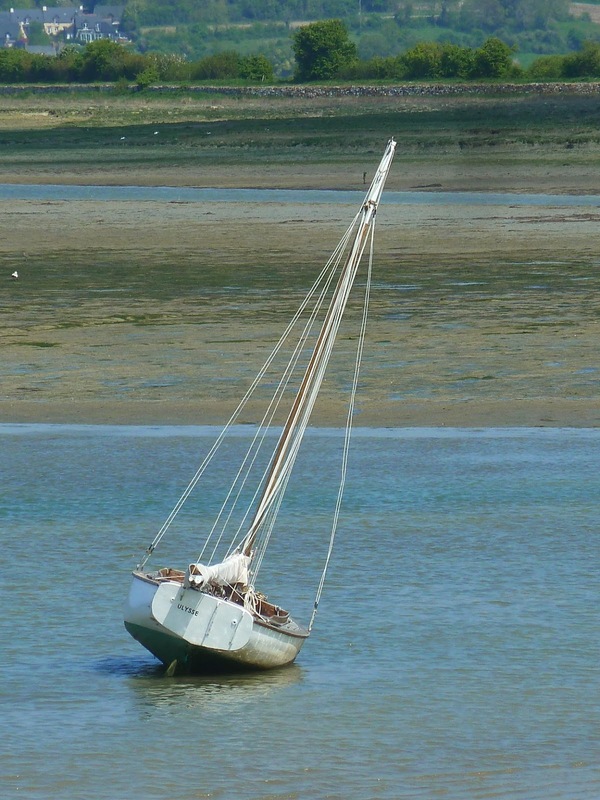 Whatever it's very salty and romantic, but looks like a lot of work to sail and maintain. 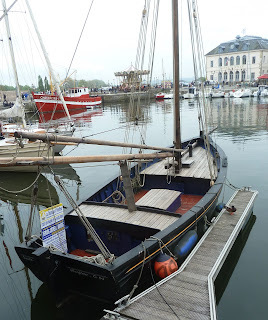 Local boat either restored or a new build as part of the program in France where local communities were encouraged to build replicas of their native craft. 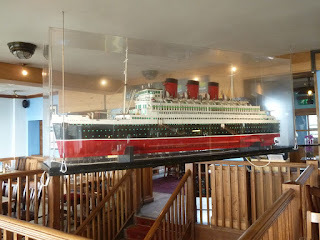 I couldn't read the detail other than day trips are available. 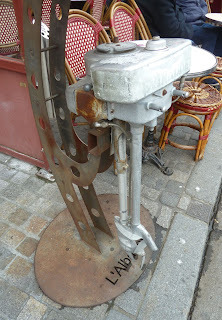 Interesting paraphernalia at a waterside bar, L'albatross was in fact an Evinrude, judging by the rust and corrosion probably best used as an ornament. 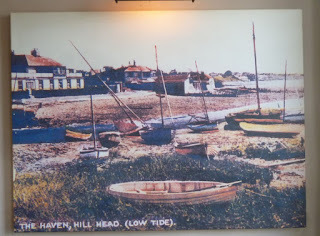 We dropped into the Osborne View pub at Hill Head for a coffee and to check out if it might be a good place to take grandma and granddad for lunch. 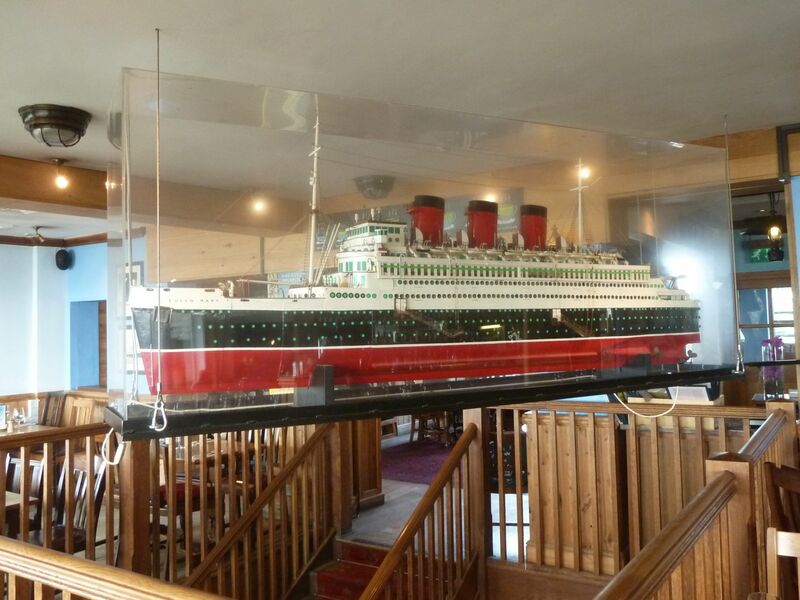 The pub (originally and old Victorian hotel) has great views of the Solent across to Cowes and has had something of a themed make over in recent years based on the liners and cruise ship history of Southampton. 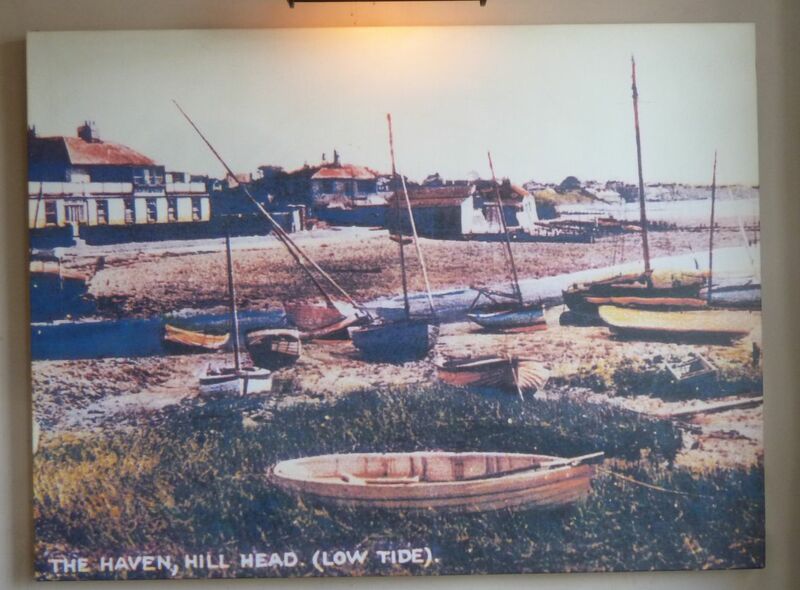 This great old painting shows what the harbour was like years ago, and frankly apart from the boats and the Hill Head Sailing Club not too different now.